A valuable way to promote and share your #hashtag board is by using our FREE embed code for your website or blog, it’s easy to do and looks great. To use our “Customize” social board for your website you must be have a HashAtIt.com. 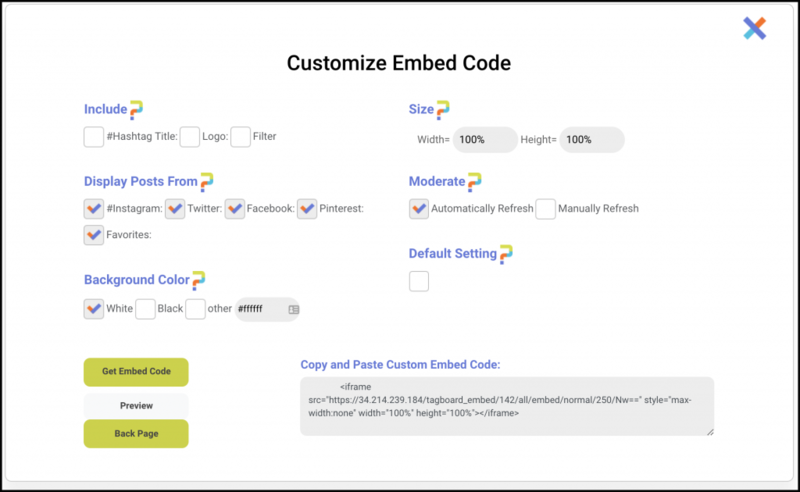 5) Choose what you would like displayed on your board and then select Get Embed Code and then Copy And Paste Custom Embed Code. 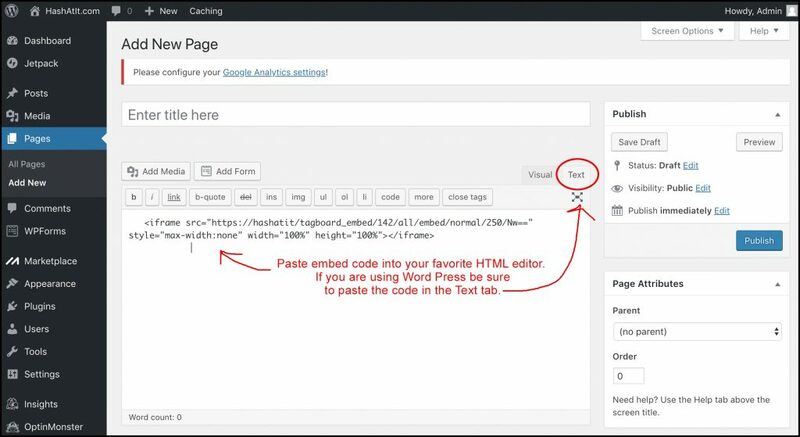 6) Paste embed code in a HTML Text Editor or WordPress (below image is a WordPress page editor). Save and view page in your web browser.